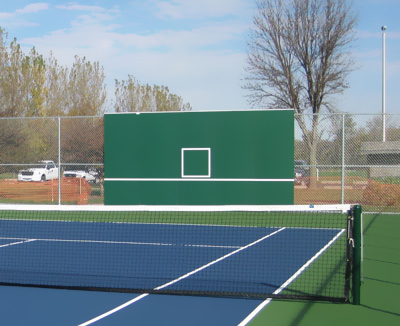 Strokes – the backboard is a place to work on fundamentals and to groove your groundstrokes, volleys, and serves. Consistency – a place where repetition counts and you can work on hitting the sweet spot over and over until it becomes a natural part of muscle memory and response. Good balance can be practiced. 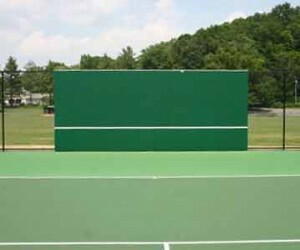 Concentration – a structured practice session on the backboard is ideal for focusing your concentration to stay in the long point where your opponent just doesn’t seem to miss. 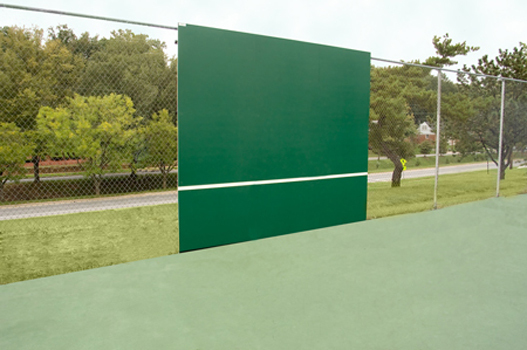 Stamina – the backboard enhances your training and builds confidence in your ability to keep the ball in play longer. By hitting the ball hard, your level of intensity will develop. Three in a row – used as a warm up from just behind the baseline. Hit 3 forehand groundstrokes. Use quick footwork and positioning. Then 3 backhand groundstrokes. 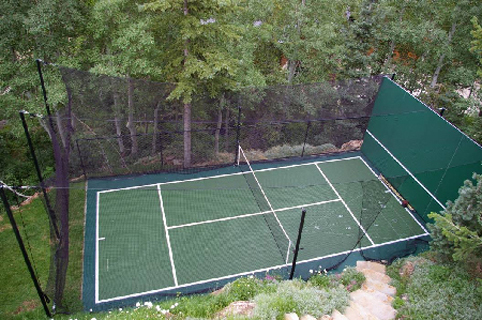 Keep the ball in play alternating between groundstrokes and 3 feet above the level of the net. Play to win the point. Play 1 forehand, 1 backhand, 1 forehand, 1 backhand and two more shots against the backboard. Then hit the ball hard to win the point. Be sure to keep the ball above the net. Repeat 6 to 10 times. Hit and concentrate. 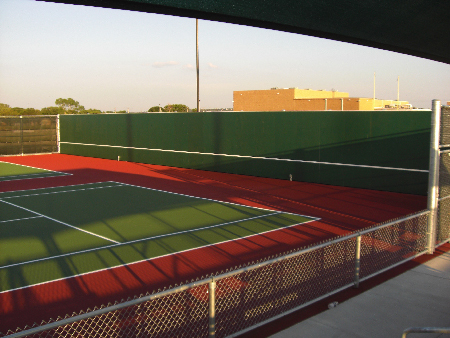 Simulate actual play conditions by starting the ball off and hitting 6 forehands in a row. Work on staying in the long point and keeping the ball in play. Do 6 backhands in a row. Groove your strokes and get better timing with this drill while improving your concentration. Try always to get the ball after the first bounce. Short ball drill. Move your court position forward halfway between the baseline and the backboard. Hit 3 forehands in a row then 3 backhands in a row and alternate side to-side. Your timing and anticipation will improve right away. Stay low to the ball. Practice the same drill alternating between 1 forehand, then 1 backhand, shorten your backswing and always be ready to move. Keep the ball in front. Volley – volley. 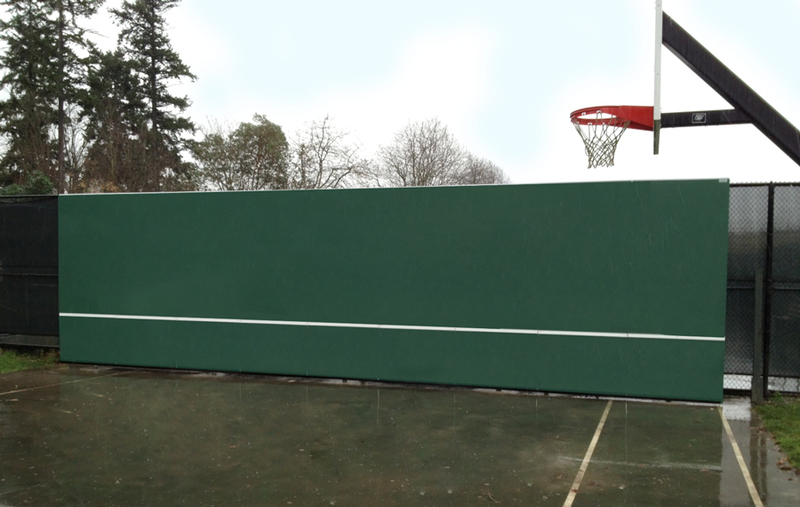 Move your court position to within 6 to 8 feet from the backboard. Hit 6 forehand volleys in a row. Then 6 backhand volleys in a row. Balance, timing, and wrist strength is important here. Practice until you feel the ball solidly in the center of your racquet. Alternate 1 forehand, 1 backhand volley. Learn to anticipate the fast exchanges that occur in doubles play. Also try from mid court forehand approach, backhand groundstroke, forehand-volley-volley. Have fun! Serve practice. Serve 10 to the backboard from behind the baseline. Try to choose a target to make the most of your practice and to be effective. Concentrate on an accurate ball toss and fluidity of motion. Serve and play the point. The serve will return a little bit short so be prepared to move in for that first forehand and play the point out. Strive both for consistency and to hit the ball hard. The backboard takes some pace off the ball so put some effort into hitting it. Six balls off groundstrokes from the baseline for flexibility, timing, and footwork. Keep the ball in play. Concentrate on watching the ball.